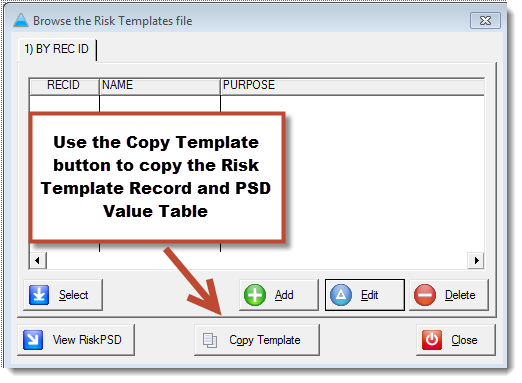 (A) Risk Assessment Record Id, template Name and its intended purpose. 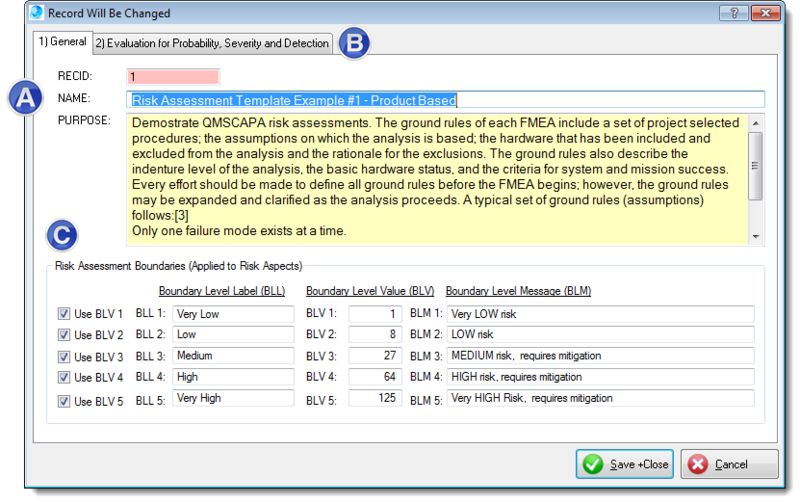 (C) Risk Assessment Boundaries, used to summarize the risk evaluation value of the Risk Priority Number (RPN). 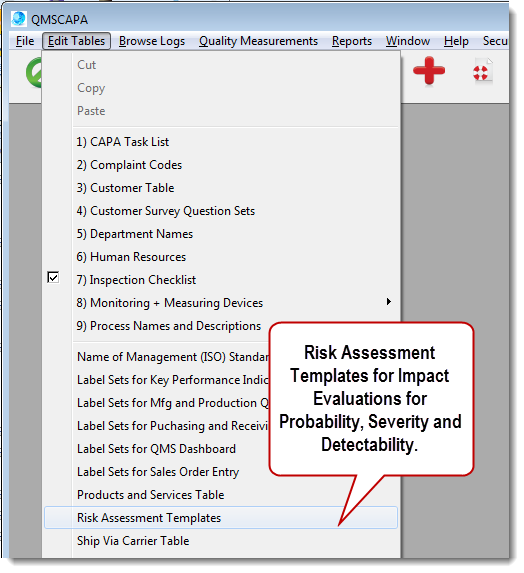 The five Risk Assessment Boundaries are user-definable. Form for the Values used for Evaluating the Impact from the probability, severity and the detection of an Risk Assessment Aspect. 1)RECID - This record identification is related to the Risk Assessment template. 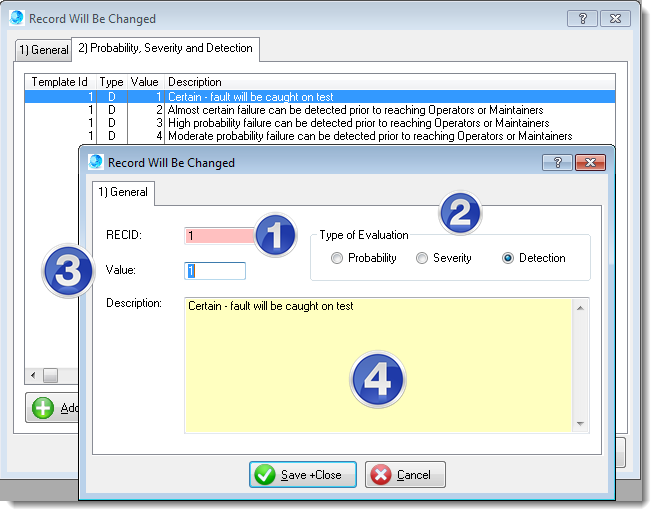 2)Type of Evaluation - The type of evaluation is limited to the Probability, Severity and Detection. 3)Value - The impact value is user definable. 4)Description - The description is related to the probability of the occurrence, the severity of the impact or the detection ability.